What is the goal of the live stream? Decide what you want to accomplish, such as answering questions from viewers or taking them behind the scenes. Why does this idea have to be live? Identify how a live stream enhances the topic. Is this a format you can repeat? Figure out if this would be part of your regular programming or a one-time event. 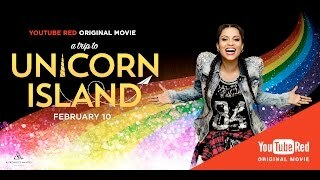 Will viewers enjoy watching it later? Think about viewers who may miss your live stream and watch the video on demand later. 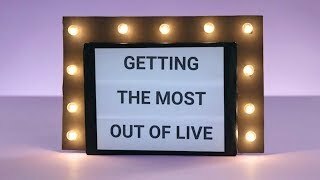 When preparing for your live stream, strike a balance between planning ahead and being improvisational—viewers want to see your authentic personality. Outline a plan. This can include key messages or calls to action for your audience. Having a plan helps your live stream feel organized and structured. Invite a co-host. Ask a friend or fellow creator to join your live stream to keep up the energy. Your co-host can interact with the audience and read chats (on or off camera). Get help. Assign someone to moderate the chat and remove inappropriate messages. Or get a “producer” to call out chats and help you move on from a segment. Before your first live stream, check your account standing. Set goals and consider which ideas are best to go live. Determine your creative format (repeat or one-time). Tom Scott built a format that asks a new question every few minutes. This keeps the show moving and allows for new viewers to quickly catch up. Having a co-host (or two) can help maintain energy and flow. 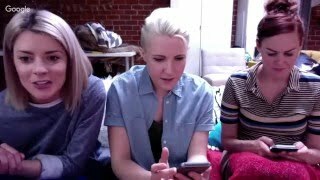 Hannah, Grace, and Mamrie bounce off each other to keep the live stream unpredictable. Rebecca Zamolo uses three discrete segments of interactivity, demonstration, and surprise to keep her audience in anticipation of what’s up next. Live streams are typically centered around a moment that compels viewers to watch now. Below are a few creative approaches to keep your audience engaged. Olympic diver Tom Daley works out with his audience, challenging them to keep up with him as he exercises. 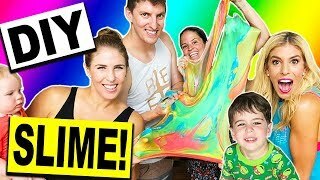 Irish vloggers SACCONEJOLYs do a Q&A live stream to answer questions such as their typical daily routine. By watching her documentary with her fans and sharing her thoughts, Lily adds a whole new dimension to the film. Promotion is key to get the word out and generate a buzz. Think about promotional levers before, during, and after your live stream. Use your channel description to promote the date, time, and topic or add the promo to your channel banner. Create your title, description, and thumbnail so your live stream can be easily discovered once you go live. On social media, build teasers with highlights, and count down toward your live stream. Note: You can schedule a live stream in advance on mobile or webcam, then share the date, time, and URL on social media to build excitement. Your fans who subscribe to your channel can opt to get notifications when you go live. They can choose to receive mobile (push) and/or email notifications for some or all of your live streams. Also, your stream may get surfaced to potential viewers on search results, the YouTube homepage, and suggested videos. YouTube will automatically archive your live stream so that people can find and watch it later. Give your fans the opportunity to see this video on demand version and get them excited about your next live stream. You can also share this video on your other social media platforms. 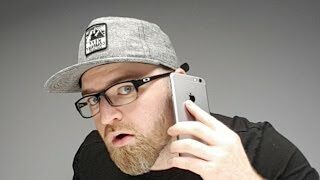 UnboxTherapy tells his audience to enable notifications during his live streams. At 12:46, Maya explains the exact steps that her audience can take to enable notifications.